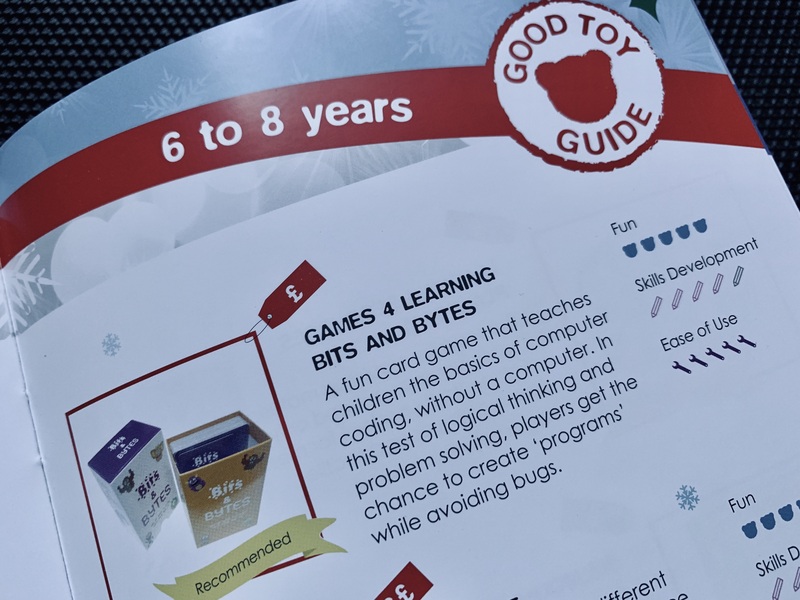 We’re very excited to be recommended and included in this year’s Christmas Good Toy Guide (tested by children, endorsed by experts). We were also pleased to see the review – 5 out of 5 for FUN, 4 out of 5 for SKILLS DEVELOPMENT, and 5 out of 5 for EASE OF USE. If you want to start teaching children the fundamentals of computer coding and STEM skills, then Bits and Bytes ticks the boxes – and best of all, NO computer is required!